Dorthe Mathiesen is the Danish designer behind these amazing artwork from the poster brand and design studio, Vissevasse. Love the retro look, simple shapes and soft pastel coloration. 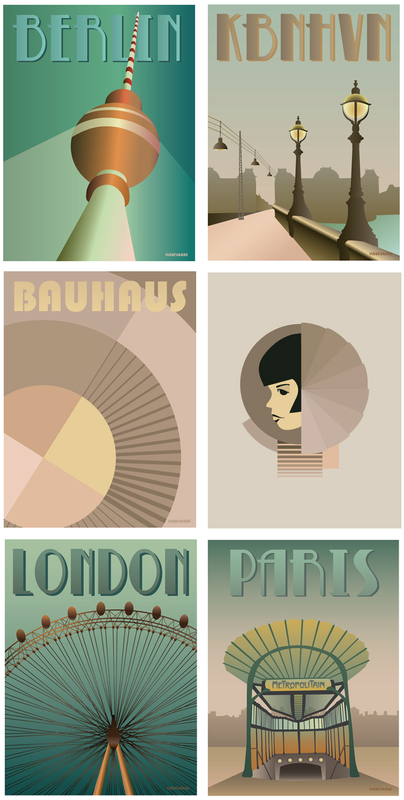 These graphic posters with Nordic sensibility can be purchased on her site and at selected dealers across the country.